This updated third edition includes a key change to chapter nine of the guide to take into account requirements of the Construction (Design and Management) Regulations 2015. Health and safety is a fundamental requirement of a sustainable farming business and should be regarded as an essential part of farm business management. There are persistently high rates of fatal incidents and work-related ill health in the agricultural industry. Unwise risk-taking is an underlying problem and those working on their own are especially vulnerable. This guidance is designed to help everyone working in the industry achieve good standards of health and safety and reduce injuries and ill health by identifying causes, eliminating hazards and controlling risks. This guidance is for employers, employees and the self-employed. 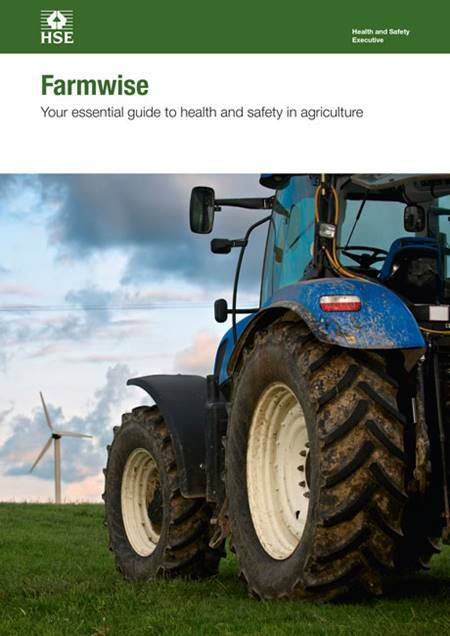 It covers the management of health and safety, as well as outlining the specific risks of agricultural and horticultural work, giving easy-to-follow, practical advice to keep you safe and healthy at work.